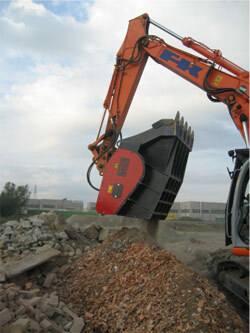 The AWsome excavator-mounted bucket JAW crusher for crushing / pulverizing rock, * concrete, slabs, blocks, bricks, etc. 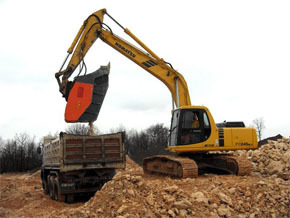 The Awjaw allows a contractor, at an accessible price the ability to own his own crushing plant and with the addition of one of SGC Attachments screening buckets, the convienence to crush and screen on site, often directly into a truck. 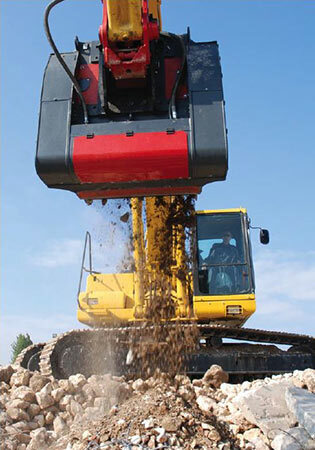 The mobility of the Awjaw Bucket Crusher allows for crushing and primary sorting on site, eliminating costly and further trips to the recycling yard. 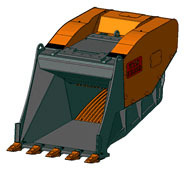 The AwJaw is truly the second generation design of bucket crushers offering 10” longer jaws and an advanced motion excentric drive giving higher speed than competing bucket crushers. 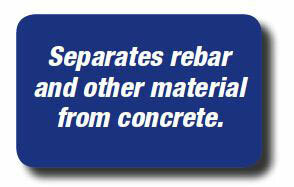 Contaminants such as rebar, cable etc are separated from the concrete as they exit the Awjaw. 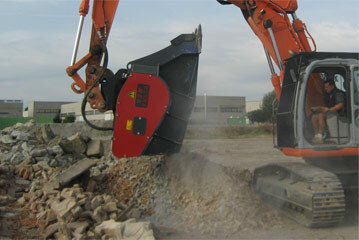 The Awjaw line offers 5 models of advanced crushing buckets for excavators ranging in size from 15- 45 tonnes. 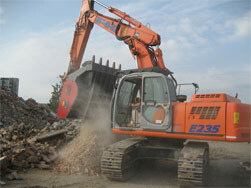 Fully adjustable jaws can produce crusher product from 3/4" minus to < 5". A welded one piece steel body of Hardox 450 and special high manganese content steel jaws give superior performance and long life. 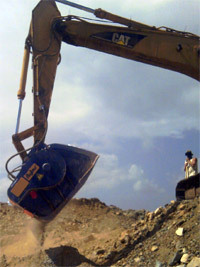 The heavy cast jaws, one fixed, one mobile/rotated can be 180 ̊ and exchanged from upper to lower or vice versa to obtain maximum wear life. (distribution). The AwJaw, powered by a high performance Rexroth hydraulic piston motor and oversize serpentine belt, deliver power effectively and without vibration. 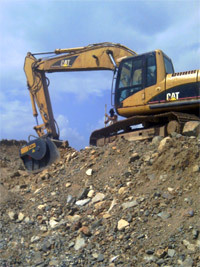 Hydraulic oil is supplied from the excavator’s auxiliary valve. Center point for grease fittings offers ease of service. 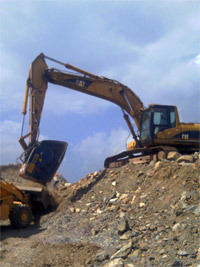 The Awjaw can tackle crushing jobs that may not justify the use of a larger crushing plant. 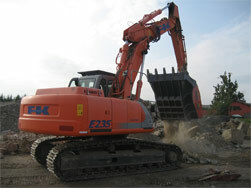 Crush concrete right at the site or while loading a truck. Adjustable control determines size of finished material. 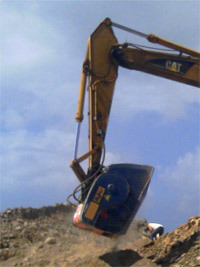 AwJaw is the hydraulically-operated excavator-mounted crusher able to crush rock * or concrete. ** The weight of the machines is approximate, it refers to the standard version with any options and it may vary. The information and images contained in this document are to be considered reference values. The St. George Company reserves the right to make changes without notification.